This wouldn't be a true do-it-yourself project if we didn't utilize open-source hardware, so we built the HAPP's electronics around two Arduino devices. 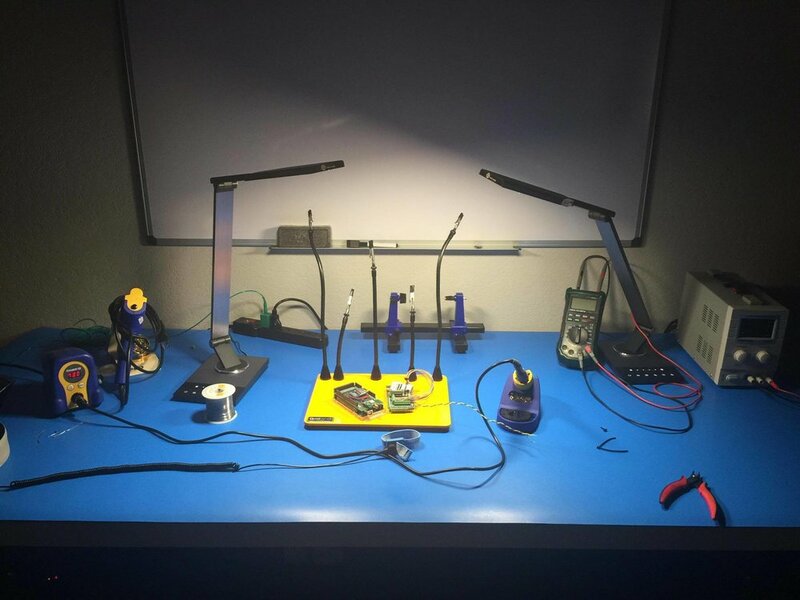 The full electronics suite consists of the Arduinos, various sensors and communication devices, three main power busses energized by lithium-polymer batteries, a variety of bus branches with regulated voltages, and of course the cameras. The two onboard computers are each built around an Arduino Mega 2560. One, the Autopilot (AP), is focused on running the RCS and stabilizing the vehicle. Its companion, the Flight Controller (FC), handles GPS data acquisition, satellite communications, and the main logic for mission control. The computers can independently control the pyrotechnic devices for cutdown and parachute deployment, ensuring redundancy for these critical functions. Mounted to the AP are two custom proto shields with several critical components. A MEMS inertial measurement unit provides data about vehicle attitude, accelerations, and spin rates. Other components include a barometer / altimeter, a digital thermometer, a pressure transducer for the RCS system, a Bluetooth communication device, and a micro SD card reader for data logging. The jet valves for the RCS are directly controlled by the AP. The FC includes a GPS receiver, a satellite modem, and a micro SD card reader. Separate antennas for the GPS and satellite are connected to the FC and mounted up on the ELS deck where they are exposed to the sky. The two computers are interconnected and continuously exchange status information. This allows one to trigger an abort if the other stops responding for any reason, such as loss of power on its power bus. Three LiPo batteries provide power to three independent power busses. One battery feeds the AP bus, another feeds the FC bus, and the third feeds the camera bus. The batteries are enclosed in a heated thermal bag to ensure longer life in the cold air of extreme altitudes (air temperature at 30 kilometers is around 50 degrees below zero). Each bus has branches providing regulated voltages to the various devices and relays. Down-regulation is handled by BEC switching devices for 5V, 9V, and 12V supply. Up-regulation is handled by DC-DC bucks for 24V supply. MOSFET relays are used to control high power switching to the various pyros and RCS jet valves. Pyro activation is fully redundant to power failure on either computer bus. The Apollo lunar missions were all about getting a small payload of humans safely to the moon and back. The HAPP is all about getting a 360 camera up to extreme altitudes, so we'd better choose the right one! 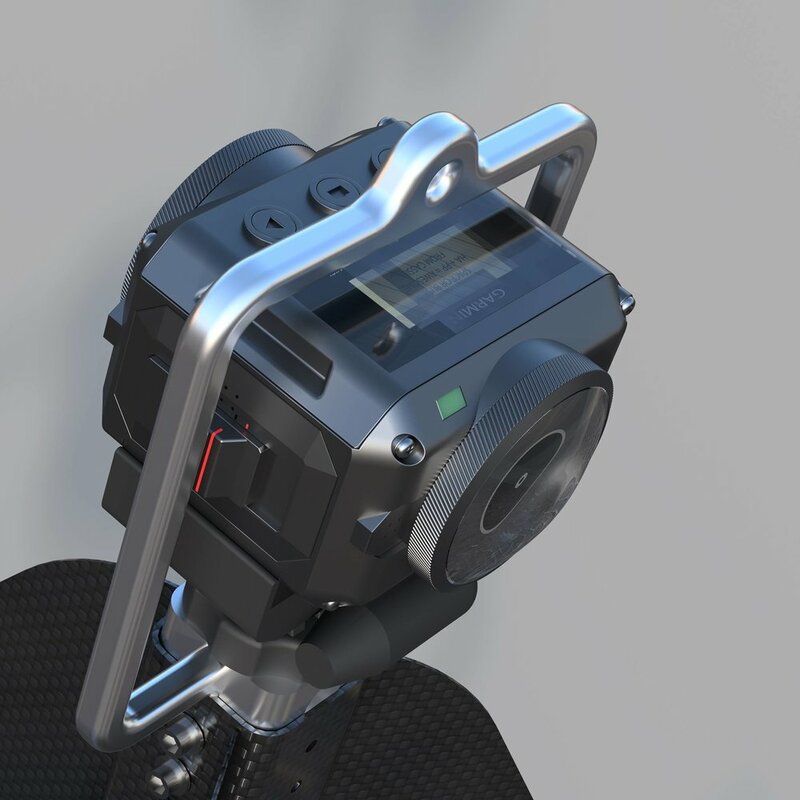 360 camera technology is rapidly evolving, and in fact the HAPP was re-designed in 2017 to accommodate the best new camera on the market at that time: The Garmin VIRB 360. This camera captures video at 5.7K resolution and had the smallest packaging and lightest weight among its competitors. During development we experimented with 360 video capture using a constellation of standard 4K cameras and then stitching the output together in post-processing. In theory this offers superior image quality versus any single camera like the VIRB. In practice the constellation proved too costly in terms of weight and power required to run all 6 cameras for a two hour mission. Instead we opted for the VIRB and used the remaining weight budget to add three GoPro HERO5 Session 4K cameras as secondary, non-360 cameras. These cameras are mounted around the ELS Deck and provide views of the ground, the horizon, and the balloon directly overhead.